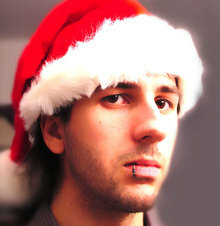 Folks, if you look closely you'll notice the heavy right eyelid is merely the result of the Santa hat weighing heavily. No need to be afraid. O the burden of the Santa hat! hey! Smug Santa on f-naut. Sweet. You'll like it here. Hey Kaolin! Good to see you here. Hope to see some of your SMYL goodies here. You must log in to write on Kaolin Fire's wall.